Its well known by now that pipeline attacks and attacks on utilities of all kinds have been an unfortunately well-trodden path by cyber-adversaries in numerous countries for a few years now. These types of attacks are not theoretical, and the damage done to dateas well as the potential damageis significant. With this backdrop, it was encouraging to see a few months ago that that the U.S. Government was working in a coordinated fashion to push for a more coordinated effort around pipeline security. As part of the annual Cybersecurity Awareness Month each October, the U.S. Department of Energy (DOE) and Department of Homeland Security (DHS) met with the Oil and Natural Gas Subsector Coordinating Council (ONG SCC) to discuss ongoing threats having to do with pipeline security, resulting in the Pipeline Cybersecurity Initiative. According to Hunton Andrews Kurth, the Pipeline Cybersecurity Initiative will harness DHSs cybersecurity resources, DOEs energy sector expertise, and the Transportation Security Administrations (TSA) assessment of pipeline security to provide intelligence to natural gas companies and support ONG SCC’s efforts. TimingThe timing for this initiative is important. No longer can industry observers and experts claim that pipeline, energy, and utility security is not an issue. As indicated above, this is a genuine problem that has real-world implications. Moreover, we know that this issue has occurred in a number of different countries. Industrial Internet of Things (IIoT)IIoT is a topic that continues to be raised in meetings with customers and partners around the world. Some of those customers are in financial services (think ATMs) while others are in healthcare (think imaging machines) and yet others are of course in energy (think pipelines, pumping stations, etc.). My point is that across unrelated industries, this topic is a very real area that companies are increasingly taking seriously. Utility Dive summarizes this well, With the prevalence of automation and digital sensors, pipelines moving a physical commodity, like oil or natural gas, are vulnerable to cyber-intrusions, just as a transmission line or power plant. Public-private partnershipThe public-private nature of this partnership makes good sense and is great to see. For instance, it was important to see this mentioned so openly by the TSA in one of the accompanying statements and is a clear indication that this is a complex issue that requires broader coordination and partnership. The TSA is committed to the mission of securing the nations natural gas and oil pipelines, and values longstanding relationships with pipeline operators across this great nation, said TSA Administrator David Pekoske. This also builds on some of the past few years of efforts in this realm in the U.S. specifically. An international issueBeyond the U.S., other countries working on similar initiatives should be mentioned. While not a comprehensive list, it would be remiss not to mention other parts of the world that also either suffer from or worry about this issue, including the U.K., Denmark, and Australia. To those of us in the cybersecurity world, energy security as it relates to cyberthreats has been a concern for a while. The known attacks have been disconcerting and people beyond the energy industry have recognized this. Practitioners and defenders have been doing fabulous work, and the Pipeline Cybersecurity Initiative will help ensure that additional resources, information-sharing, and coordination will help mitigate additional cyber-related risks against the U.S. energy industry in the coming years. For more information on infrastructure security, read Defending critical infrastructure is imperative and listen to the Cybersecurity Tech Accord web seminar, Cyberattacks on infrastructure. The post Why the Pipeline Cybersecurity Initiative is a critical step appeared first on Microsoft Secure. To meet users expectations for security when using a product or cloud service, security must be an integral part of all aspects of the lifecycle. We all know this, and yet time has proven that this is far easier said than done because there is no single approach nor silver bullet that works in every situation. 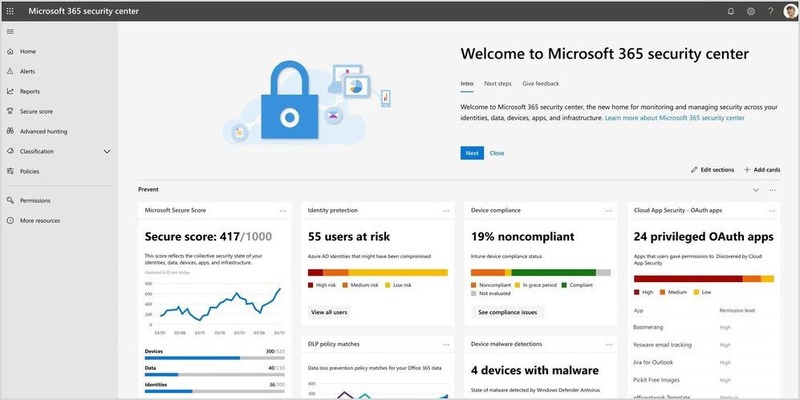 However, Microsofts long commitment to security has demonstrated that there are a number of security practices that have survived the passage of time, and when applied flexibly in harmony with many approaches, will improve the security of products or cloud services. We are sharing the results of our experiences through our new Security Engineering website, which includes updated Microsoft Security Development Lifecycle (SDL) practices that focus on development teams and what we believe to be the basic minimum steps for addressing security concerns when using open source. 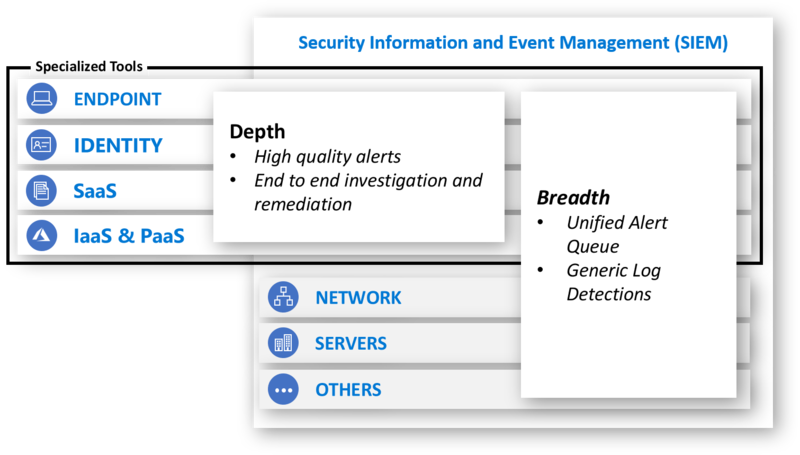 Additionally, weve included more specific Operational Security Assurance (OSA) practices, aligned with the operational lifecycle of cloud services, and we touch on how these can be brought together to deliver Secure DevOps. 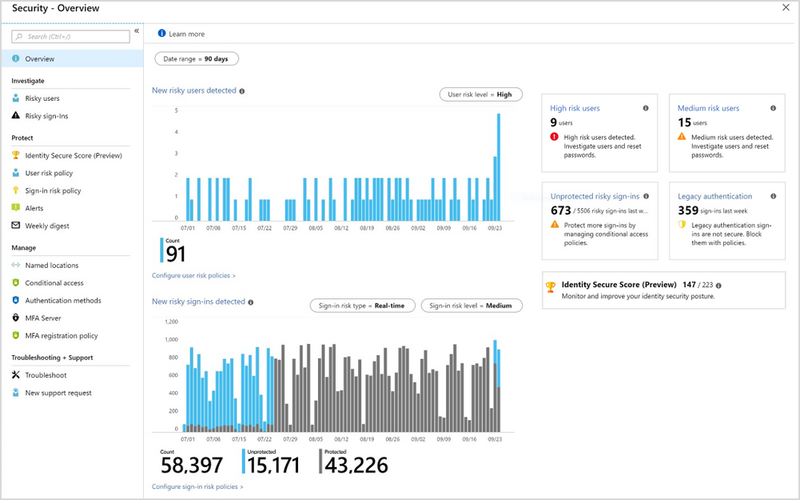 The post Announcing the new Security Engineering website appeared first on Microsoft Secure. Today, cyberattacks from increasingly sophisticated actors threaten organizations across every sector, and whether a Fortune 500 company or a local bakery, organizations of all sizes need to take steps to limit the dangers posed by these threats. This is the core of cybersecurity risk managementunderstanding potential threats and actively working to mitigate them. But while organizations large and small should protect themselves against such threats, the owners and operators of critical infrastructure have a unique additional obligation to understand risks and improve their cyber resilience in the interests of the communities, and even whole societies, that rely on their industries. Critical Infrastructure refers to the industries and institutions whose continued operation is necessary for the security and stability of a society. Energy, water, and healthcare sectors are often deemed critical infrastructure, as are essential government organizations, transportation sectors, and even entire elections systems. The organizations that own and operate this infrastructure have a responsibility to keep it up and, running in the face of any challenge, require even more careful attention to security, particularly cybersecurity. The post Defending critical infrastructure is imperative appeared first on Microsoft Secure. In todays threat landscape, boards of directors are more interested than ever before in their company’s cybersecurity strategy. If you want to maintain a boards confidence, you cant wait until after an attack to start talking to them about how you are securing the enterprise. You need to engage them in your strategy early and oftenwith the right level of technical detail, packaged in a way that gives the board exactly what they need to know, when they need to know it. Cyberattacks have increased in frequency and size over the years, making cybersecurity as fundamental to the overall health of the business as financial and operational controls. Todays boards of directors know this, and they are asking their executive teams to provide more transparency on how their company manages cybersecurity risks. If you are a technology leader responsible for security, achieving your goals often includes building alignment with the board. Use the boards time effectively. Speak to the boards top concerns. This doesnt mean you should dumb down your report or avoid important technical information. It means you need to adequately prepare. It may take several weeks to analyze internal security data, understand key trends, and distill it down to a 10-page report that can be presented in 30 to 60 minutes. Quarterly updates will help you learn what should be included in those 10 pages, and it will give you the opportunity to build on prior reports as the board gets more familiar with your strategy. No matter what, adequate planning can make a big difference in how your report is received. Technical debtAn ongoing analysis of legacy systems and technologies and their security vulnerabilities. GovernanceAn accounting of how security practices and tools measure up against the security model the company is benchmarked against. Accrued liabilityA strategy to future-proof the company to avoid additional debts and deficits. Be sure to check out the interview with Bret in Part 1 of the CISO Spotlight Series, Security is Everyones Business, to hear firsthand his recommendations for talking to the board. And in Part 2, Bret walks through how to talk about security attacks and risk management with the board. The National Institute of Standards and Technology (NIST)Cybersecurity Framework is a great reference if you are searching for a benchmark model. To read more blogs from the series, visit theCISO series page. The post CISO series: Talking cybersecurity with the board of directors appeared first on Microsoft Secure.